What the world needs most of all right now, is for the new breed of 'Spirit Warriors' to step up and step out. It needs people to dive into centre stream; to take a risk, that we can truly change the worldwide reality by having the courage to change our own. It is said that... "madness is doing the same thing day in day out and yet expecting a different result!" Well, there's plenty of madness out there right now! A Spirit Warrior recognises that they, and only they, create their reality. In other words, they fearlessly embrace every person, situation and circumstance that they have drawn, as their own manifestation. And they're prepared to deal with that (see Law of Attraction unveiled). A Spirit Warrior realises that 'fearlessness' is not to be without fear; rather it is to be continually confronting and breaking through fear in the moment it arises. A Spirit Warrior does not blame or project at others. Not even the crazy situation we now witness in the world. She accepts the outer mirror created by group karma, and works tirelessly to unravel it (understanding karma). A Spirit Warrior doesn't complain or constantly try to fix the 'pain'. They recognise that the pain is the place where the light enters, and that transcendence of the physical is the path to immortality. Therefore, of the pain they say... "bring it on!" A Spirit Warrior is not afraid to let go of a creation or manifestation once it has served its purpose. Which could mean moving on from a de-energising relationship, job or location. Even when the path forwards is uncertain, they dive all in (see Manifesting Miracles with White Magic). A Spirit Warrior knows the difference between surrender and giving up. Surrender is aligning with the truth that they can feel unfolding, whereas giving up is being wishy washy, and too easily accepting of 'anything goes'. A Spirit Warrior knows the difference between judgment and discernment. It's vitally important to call reality the way it is, in order to navigate the path between the obstacles in life. But to judge another or a particular circumstance as always being the same, is to 'condemn' it, and then form a fixed relationship to it (see The Ray 4 Diplomat in You). A Spirit Warrior is careful with the word 'never', so as not to condemn a particular situation to a particular fate. He is aware that 'always' may change. A Spirit Warrior is not afraid to go against the herd, even at the risk of getting trampled by it. A Spirit Warrior is not afraid to suffer, or to die, for a cause greater than themselves. A Spirit Warrior knows that death is merely the passage into a new life. And therefore fearlessly lives the life they now have. A Spirit Warrior is profoundly honest with themselves. A Spirit Warrior is not afraid of the truth. A Spirit Warrior fearlessly expresses themselves, no matter what the outcome. Yes, diplomacy and tact are important to them too, but that doesn't mean compromising your own soul. It's all about 'the dance', finding the most accessible and appropriate way to express your truth (see The Seven Rays of Divine Impulse). A Spirit Warrior is selfless, yet not afraid to express the self. The self is far from being some bland, colourless or wishy washy existence. It is vibrant, alive, full of animation, charisma, colour and expression. A Spirit Warrior is forgiving of himself and others. She recongises that all life's circumstances are created for learning purposes: that there is no such thing as evil intent. All create according to the reality model that has been built up inside. Forgiveness helps unravel the distortions that people hold onto (see radical forgiveness). A Spirit Warrior understands the difference between non-efforting and commitment to a cause. Yes, it is essential to let go of struggle and attachment. But nevertheless, it is going to take commitment, patience and perseverance to bring light through the darkness. A Spirit Warrior knows when to put something down, and when to pick something up. A Spirit Warrior lives day to day, moment by moment from their intuition. They're constantly tuning within and asking "what would you have me do now?" and "how would you have me do it?" A Spirit Warrior is constantly witnessing the objectivity of synchronicity, allowing it to reveal what's really going on in the moment, not accepting the filter the ego might be placing on it. A Spirit Warrior allows others to make their own mistakes and walk their own path. He may lend support, but doesn't disempower by taking ownership of their issue. 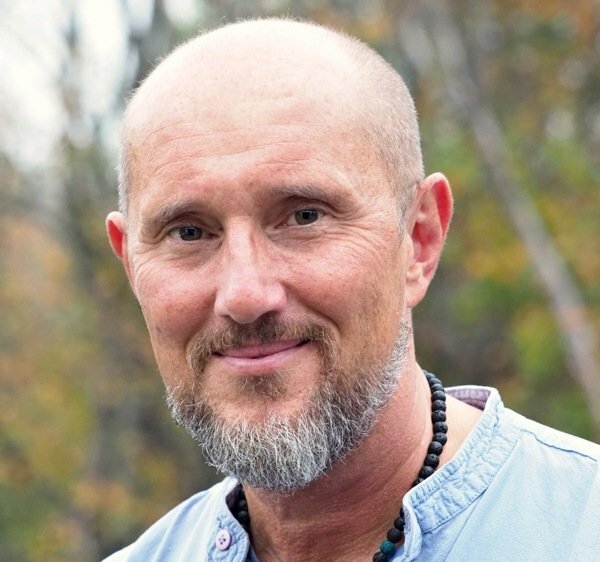 A Spirit Warrior truly understands the nature of love: overcoming that which separates oneself from other sentient life, and instead compassionately embracing that which unites all (see video Who are You, and How to Be That?). Thank you both - you make an awesome team of Spirit Warriors and your call is being heard by other Spirit Warriors finding each other all around the world. Its so wonderful to meet up through Openhand. Open, yet again you hit the core with dedicated purity....every point above brought a shiver down my spine, yes I tick some of the boxes but not all. My own journey is changing direction, thanks to your teaching and although I keep stumbling, there is the desire to get back up and keep running. Thank you for this post. 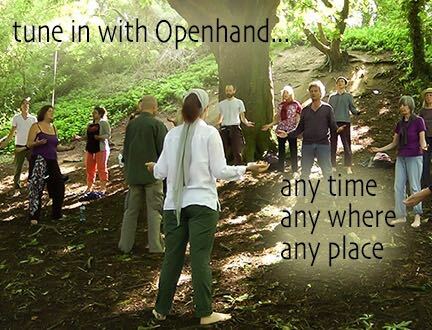 I would also like to mention that I have been receiving sessions from an Openhand Facilitor and significant shifts are happening! Yes, you've done an excellent job of the open air studio - awesome. It's exceptionally precise and was done with amazing focus and love - a true warrior's work. And now everyone who comes here will get to enjoy the amazing energy. There is a rising Warrior Spirit anchoring here on our West Coast. Path Between Worlds gave us renewed strength and illuminated the spark within. The gift we all share, back at home, is keeping that spark glowing. 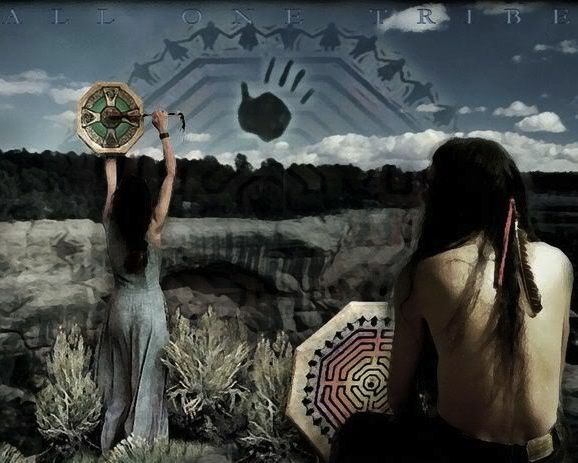 Open and Trinity you are true, courageous Spirit Warriors keeping the beacon lit and blinking for a new rising world. Paul Luftenegger's lyrics, written in Hawaii, help me to continue engaging my own Warrior Spirit as life unfolds in front of me. 'You are here to help this world grow Love. You are here to here to help this world grow Light, infused with you." Thank you, Trin and Open, for the video and article. 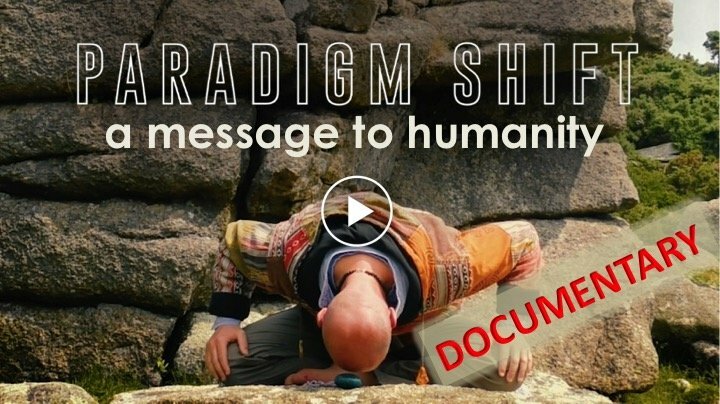 I have watched the video several times since it was posted yesterday, and just read the spirit warrior piece. I'm not there...YET....but I'm happy to see that I am feeling progress in all those areas, some more than others, but forward movement nevertheless. Surrendering...happily so....especially since Florida. Holy Smokes, Batman! Such a powerfully inspiring article! I'm "full-on" committed to my ongoing journey of letting go of who I am not and becoming who I truly am. Indeed, I am a Spirit Warrior. These 22 signposts help to guide the way. Thank you for leading the Light Brigade, Trinity and Open! Both Jan and I have been drawn to the statement that you, Open, made: “it is the questions that raise consciousness”. So off we went down that rabbit hole, unaware we even carried with us the baggage of: the intention of needing a desired outcome. Finally after bumping off the walls of the warren and coming to a place of egoic exhaustion, we realized that the question already was and had always been there to discover. It simply took us to see the forest for the trees. It just popped up and laughingly said “Here I am”. Pondering this to depth had us let go of the chronic 'push the rock up to the top of the hill mentality'. 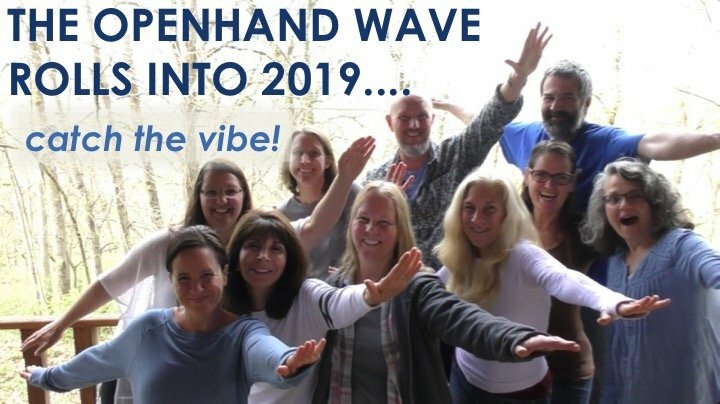 With this surrender came a realization that we shared the birthing of a profound commitment: that of saying yes to mindfully being in the here and now and saying yes to our highest excitement while watching all unfold. 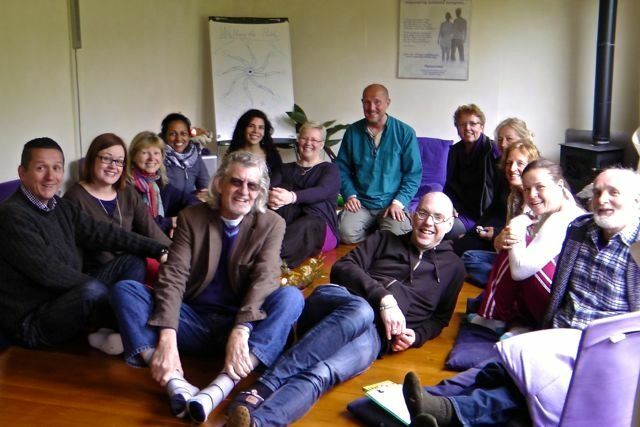 We saw at a visceral level what you, Open and Trinity, are guiding all of us to do which, to me, is to follow this unfolding and let every experience land in us no matter what – welcome what arises – eh? This has been a huge awakening for me as I had been pushing life... way too much wasted energy! Now the energy expended is no longer directed on the desire for an outcome and instead there is a profound 'yes' to the flow. What has been surrendered is the need to control our future for fear it may bring us to our knees if we don't subdue it and control it. This new sense of vulnerability actually feels 100% more secure than all the armour that, before, I had surrounded myself in. We still may be brought to our knees -- which we are open to. What a paradox! It is curious to me that after twenty – five years of teaching T'ai Chi I am just waking up to a whole new depth of the meaning of one of its tenets: 'one only truly leads by following'. This includes even the notion of leading. So we are now actually on our bicycle for the first time, somewhat wobbly and apprehensive and yet alive and with the excitement of riding with, our closest companion, the unknown. The real danger is that of looking over our shoulders for the 'how and why'. So it's eyes on the road and enjoy the ride. Distortions will be met with the 'yes' of exploration. Thank you Open and Trinity for bringing Jan and me the gift of Divinicus 'A Path Between Worlds' levels I & II. The seeds you showed us to sow have germinated and fresh green leaves are now pushing through the soil into the light. Enjoy the ride, where ever it goes! What an amazing sharing Geoff - you move my heart. Yes, there is nothing quite like diving into the flow and surrendering to its pull. Over the years, I've frequently felt quite alone on the 'soap box' extolling the virtues of that one. Finally the dyke is bursting and a few other souls are diving into the mainstream - what else is there? And yes - yihah! - let's enjoy the ride, where ever it goes. Holy Moly Geoff, what an awesome post! To simply say I resonate with it would be an understatement. The synchronistic choosing of John O'Donohue's question "Is the unknown your closest companion?” is awesome for you guys. It took me back to the summer of 2013 when while asking for support from Guidance I repeatedly heard the statement Crave Uncertainty. My response was "Are you kidding me? Why would anyone crave uncertainty!!" I thought Benevolence was playing a cosmic joke with me. HA! Little did I know. At the time I was approaching Guidance to ask for direction. My realignment had taken place and my life had changed significantly on multiple levels. Being in flow was too damn uncomfortable. I needed to sink my teeth into DOING something. A few days later I visited the mailbox, pulled out a flyer and across the top in 2" letters was the word CRAVE. I cut these words out and they are taped to the wall in clear view as I type this post. This synchronicity allowed me to be open to the possibility that one could possibly crave uncertainty and still maintain their sanity. Almost two years later and I get it! The unknown can't harm me so why not bring it on. Your words "a little bumpy at first" resonate deep within and describe my journey thus far. I am truly opening up and beginning to feel the spirit within. The calling to be a Spirit Warrior is strong and I'm giving in. Thank you for this comment. Hope is rising! "It's not that we love to be alone, but that we love to soar, and when we do soar, the company grows thinner and thinner until there is none at all. It is either the Tribune on the plain, a sermon on the mount, or a very private ecstasy still higher up. We are not the less to aim for the summits, though the multitude does not ascend them." I find for me, the real challenge - and the real joy - is finding that aloneness with everyone! "No one is coming to save you, but it is not because you are unloved. To the contrary: You are so revered, so adored, so magnificent, that to send to you a savior would be to destroy your opportunity to become what you are in truth, to realize yourself fully, in the glory of your divine humanity. It is true, there are those who need surrogate representatives to protect their interests: the children, the elderly, the sick, the caged, the oppressed, and the mad, and there are not enough heroines to care for them all. No one is coming to save you because you are the hero, the heroine who has come to free up life here. Yours must come first. There is no other way. If you were not required to save yourself, you would not know what it takes, your compassion would be shallow, your eyes would be dull and cloudy, your strength would not hold out. If you refuse to save yourself, you condemn creation to incompletion. Those you might have healed, might have protected, might have represented, might have loved back into wholeness, may not fulfill their own destinies either. For some of these unknown persons, you may have been the last dry match in the the world, and it would be enough to set them ablaze by your example. You don't need the white knight. You are the wild horse racing the wind. You don't need the holy man. You are already holy. You don't need the medicine. You are the medicine. You don't need magic. You are a living miracle. You don't need acceptance. You are loved and adored beyond measure. You don't need courage. You need faith. There is nothing wrong with you. Be who you are: who you really are underneath all the lies inside you. You are the return of the promise. The peacekeeper. The grace giver. The redemptive force of Creation here to uplift the broken-hearted. No one is more qualified than you are to do your holy work. Apply all that secret knowledge. Set it in motion. Give it form in the world, and become the living gift that never empties." Hi Cathy - lovely posting - thanks for sharing. “Mend my life!” each voice cried. But you didn’t stop. determined to do the only thing you could do – determined to save the only life you could save. And I would add, that doesn't mean that we shouldn't seek and share reflections to each other. Afterall, isn't that what our natural community spirit is all about? Beautiful poem by Mary Oliver. Thank you for sharing, Open. I recently bought one of her books of poetry. Both Alison Nappi and Mary Oliver offer powerful reflections for me. 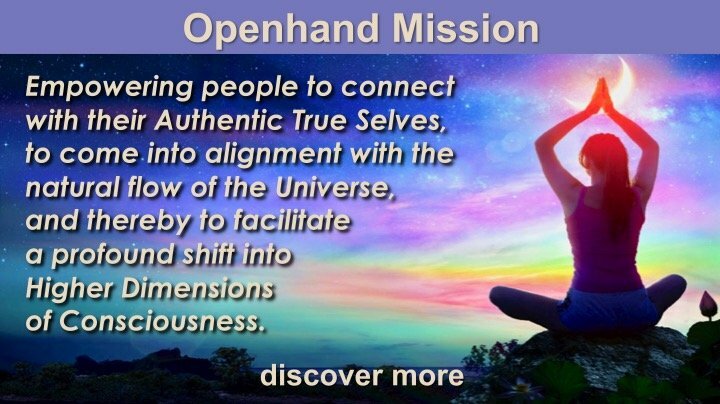 So, yes, indeed, seeking and sharing reflections that resonate with our hearts and souls is what life and the Openhand community are about. At least for me and for many others out there, I'm sure. Just wanted to add that my heart and soul resonate more strongly with Alison Nappi's kickass reflections than with the more tepid reflections of Mary Oliver! Guess I'm forever an unapologetic badass misfit mystic forged in fire and happily to be so!